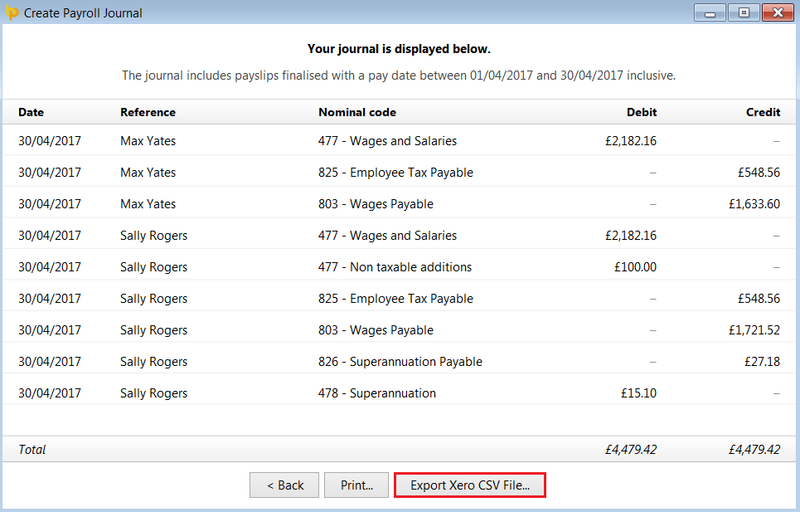 BrightPay's payroll journal feature allows users to create wages journals from the finalised payslips and export to CSV for upload into Xero accounting software. 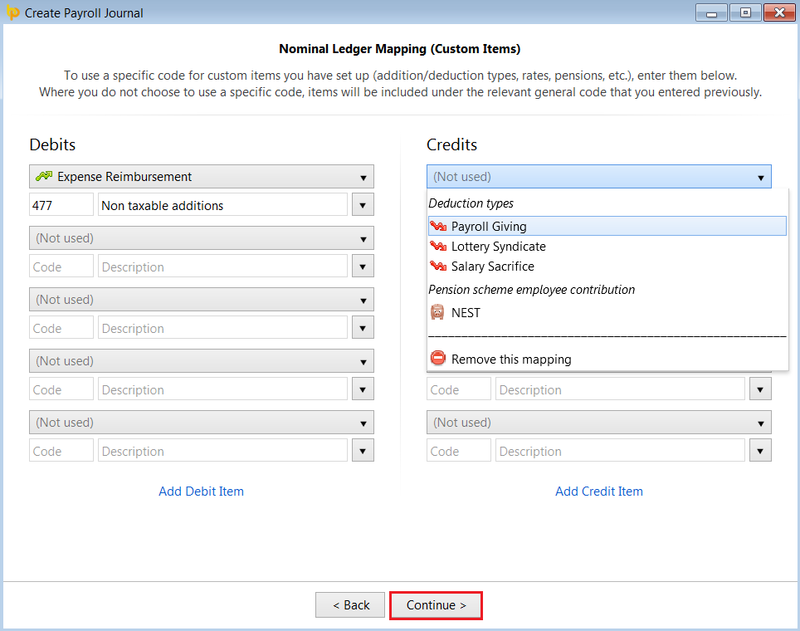 3a) Nominal Ledger Mapping - the default nominal ledger code mappings which specifically relate to Xero will already be entered for the user. If desired, these can be edited, should the user wish to map to different nominal accounts that exist within Xero. A nominal account code can be used for multiple items. 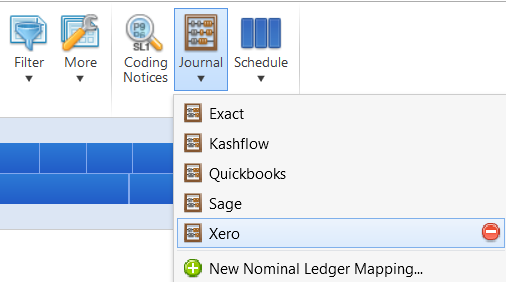 4) Nominal Ledger Mapping (Director Items) - this screen allows you to map directors' pay items to alternate nominal accounts within the Xero software. 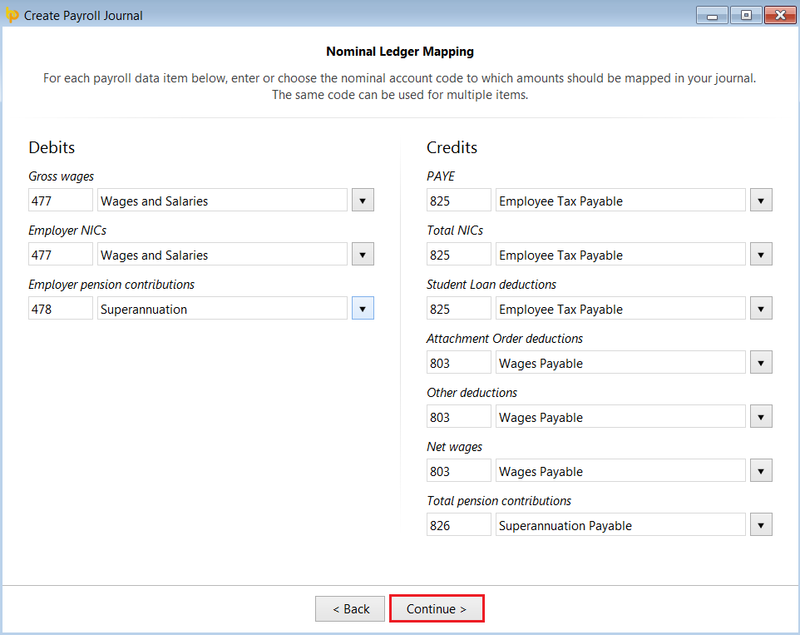 a) Should you wish to map to alternate nominal codes for any payroll items relating to directors, simply click 'Yes' and enter/amend the nominal account codes and descriptions accordingly. 5) Nominal Ledger Mapping (Custom Items) - this screen allows the user to map custom pay items in BrightPay to other specific Xero nominal account codes of their choosing. Examples of custom items include addition/deduction types, rates, pensions, etc. 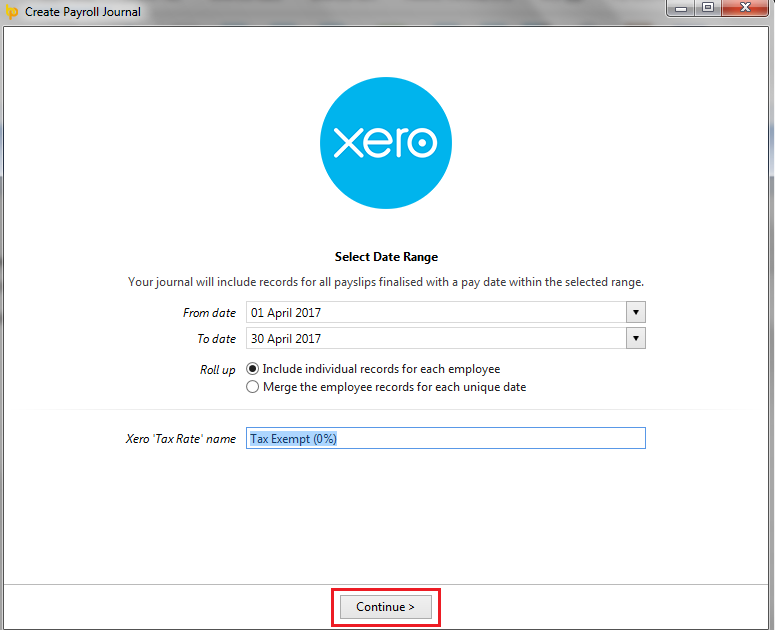 Your payroll journal is now ready for upload into your Xero accounting software.